Just getting started on my RV 10 build, so I got along ways to go before I need to worry about my avionics, but I do have questions as I'm doing some future thinking. Do both of these products offer the same thing, just that Vertical Power supports Garmin, and Advanced Controls for Dynon and Advanced? I am not understand you I guess. I put the Vertical Power Breaker replacement system in my 7A and I used Dynon SVs'. So I do not know the answer to your question about Vertical power only for Garmin, and Advanced only for Dynon and Advanced. I do not think Vertical Power unit cares what EFIS or type of radios. It is an electronic breaker system and much more as seen on the EFIS. My quicky view is the the AFS system is more like a Vertical Power and Approach Fast Stack hub combined. If you want someone else to build the entire panel/avionics for you, it might be the easiest, with simplified wiring due to the "hub" approach. These will be available with a complete QUICK PANEL system for the foreseeable future. 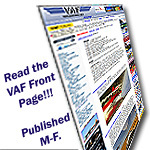 Hardware/cables etc all in a bundle from Dynon/AFS. They are more expensive but are in my opinion better. The integration with the Skyview is very nice too! Vertical Power is about... POWER control. Power in, power out, power switching. The Advanced Control Module is about all that, PLUS interfacing your EFIS devices, radios and other equipment. The ACM is the "glue logic" that allows one box to talk to the other without you having to do a custom wiring harness from one box to another. The Advanced Controls module seems slick, but does it truly offer electronic circuit breaker capabilities (the real benefit of the VPX)? Would be glad to hear it does, though haven’t seen that clearly specified. I see what is automotive style fuses but no mention of ECB‘s. Having done one RV panel overall with a VPX and fast stack hub system, I’d love to see those integrated into an affordable single device! Yes they do. 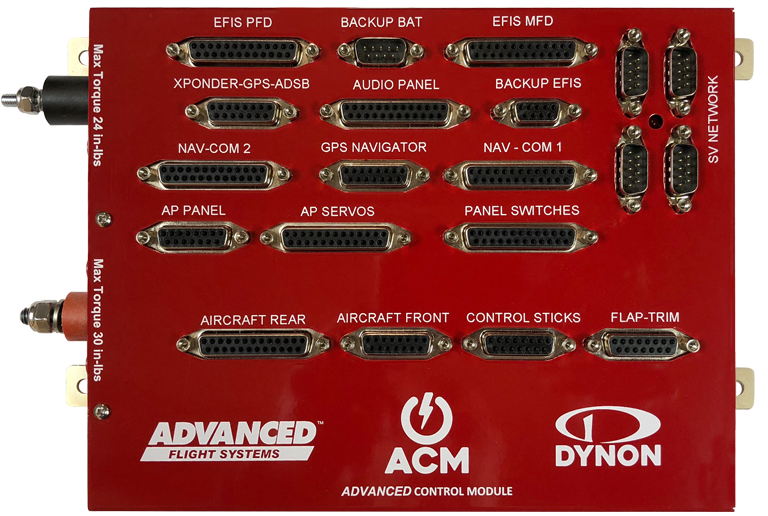 Dynon page link to the Advanced Control Module with ECB's. Started shipping in March by AFS FB post here. I currently have a VP-X Pro sitting on the shelf. I'm watching to see what goes on this year (OSH next week and all). Will I stay with the Pro or maybe go with the module. As I understand it the module is not offered as a stand alone product only included with their quick panels. I start wiring in the next few months. Thanks for the clarification, Carlos. Very nice combo unit. Don’t overlook the option of not using either product. I’m sure they perform as advertised, but lock you into a single architect that may not support your design objectives. Switches and breakers provide a wide range of design choice.